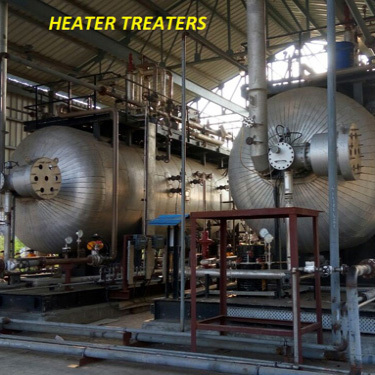 The company has developed three state of the art Common Effluent Treatment Plants (CETP) at Butibori and Amravati near Nagpur, Kagal near Kolhapur & Waluj near Aurangabad. A SPV of SMS Infrastructure Ltd & Butibori Manufacturers Association. The objective of this company is to treat the Effluent being generated by the Industries in the MIDC Butibori & MIDC Hingna and meeting the disposal norms as specified by the Maharashtra Pollution Control Board. In this facility MIDC is the facilitator & MPCB is the monitoring authority. Capacity of CETP is about 5 MLD. HRTS (High Retention Transpiration System) is used to dispose the final treated effluent. SMS Waluj CETP Pvt. Ltd.
A SPV of SMS Infrastructure Ltd & Waluj Industrial Association. The objective of this company is to treat the Effluent being generated by the Industries in the Waluj Industrial Area & meeting the disposal norms as specified by the Maharashtra Pollution Control Board. In this facility MIDC is the facilitator & MPCB is the monitoring authority. Capacity of CETP is about 10 MLD. In Amravati near Nagpur, cluster of Textiles industries is running. Textile Industries effluent is very hard to treat due to dying and other processes. Effluent Treatment and decolouration is always an issue for individual industries. Capacity of Amravati CETP Pvt. Ltd is 5 MLD. The plant operations started in Sep-2016. A turnkey project of 10 MLD has been done by SMS Infrastructure Ltd at Kagal Industrial Area. The objective of this CETP is to treat the Effluent being generated by the Industries in the Kagal Industrial Area & meet the disposal norms as specified by the Maharashtra Pollution Control Board. In this facility MIDC is the facilitator & MPCB is the monitoring authority. Capacity of CETP is 10 MLD with 20% overloading capacity. Wastewater of individual industries often contains significant concentration of pollutants and to reduce them by individual treatment up to the desired concentration, become techno-economically difficult. The combined treatment provides a better and economical option because of the equalization taking place in the CETP. Other benefits of common treatment include scarcity of land at the industry's level and a comparatively easier availability of professional and trained staff for the operation of CETP, which can otherwise be difficult, at the individual industry level. For the regulatory authorities also, common treatment facility offers a comparatively easier means of ensuring compliance of stipulated norms. Cost of Laboratory analysis & plant operation is less at common facility than the cost expenditure of individual units together Better occupational health and safety at individual industry level. SMS Envocare is the group company promoted by SMS Ltd. In a short span of time the company has emerged as one of the major Environmental Infrastructure development and Renewable Energy Company. SMS Envocare was established in 2003 and involved in CETP, CHWTSDF & CBWTF operations. We are also giving Environmental consultancy for various environmental issues to the entrepreneurs. © 2019 SMS ENVOCARE LTD. All Rights Reserved.